The 32 point multi-touch screen allows high level interactivity between all participating entities. Users can at any time go ahead and make annotations to files or even present their own files. Using it in classrooms can positively affect students’ learning experience as educators can make use of this product’s versatility. Interactive group activities on the touch screen such as educational games and lively teaching sessions can allow students to be active participants in their learning processes. 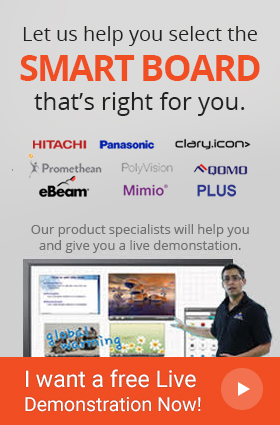 The 55" Fusion Interactive Touchscreen comes with 1080p HD resolution, 450 cd/m2 brightness and 4000:1 contrast ratio, exhibiting crisp images with vibrant, rich colors. Best suited for a variety of setups, TouchIT 55" Fusion excessively enhances student performance levels. The intuitive Snowflake Software permits thousands of possibilities based on its application capacity. 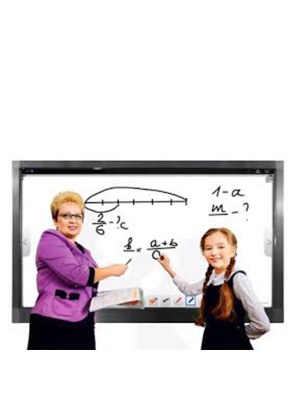 TouchIT 55’’ Fusion Interactive Touchscreen is the epitome of collaborative communication. All you need to do is simply plug it in and you are good to go.